Well maintained EZ access first floor Turnkey 2/2 Condo in beautiful Las Verdes. 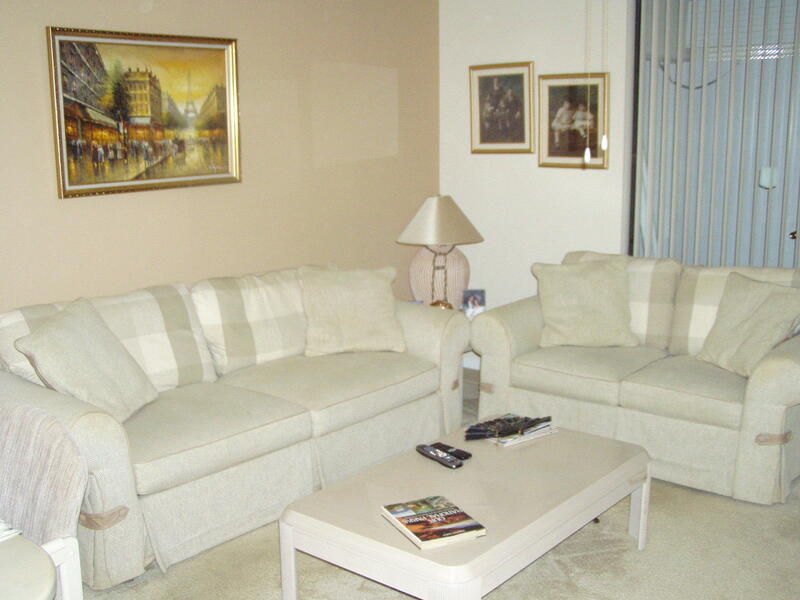 Unit comes fully furnished, just pack your bags and start enjoying the Florida lifestyle. Newer Water Heater and AC & Garbage Disposal updated a few years ago. Dishwasher & Refrigerator also updated a while back. Unit has laundry in the closet on patio as well as Storm Shutters. Bring Offers.